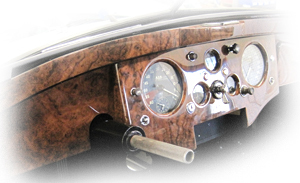 Classic Showcase is now offering a Preservation level of service, with minimal restoration performed for those that do not want to disturb the originality of their vehicle. This is a minimal restoration level that focuses more on cleaning the vehicle and meeting safety requirements, and to keep the car original. This vehicle can be shown in Preservation level of competition, with the goal being to preserve the original patina of the vehicle. All of our Preservation level services start with a complete and comprehensive evaluation performed at our facility, and a detailed report will given to the vehicle owner. We carefully look the vehicle over, noting what is original, and make note of any alterations or changes that may have been made. Depending on the non-original or altered parts, we may or may not bring the vehicle back to its complete original condition. We start to access the overall condition of the vehicle, and document it with a complete set of high resolution photographs and notes. After doing various tests, we then start a partial disassembly, taking note of all parts and listing what will need replacing, restoring, or repairing. The disassembly process is very important to correct and account for the vehicle’s alterations and changes made during its past. 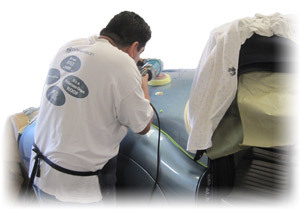 Usually, we will not repaint the vehicle, only preserve it to ensure the patina and originality are not disturbed. The seat frames and various parts are detailed to bring out the original beauty, while the interior components including panels, dash, seats, and carpets are freshened and detailed. The wiring harness is checked over and repaired where needed, and electrical components including instruments, gauges, knobs, lights, and switches are all checked over and set up in working order. Next, mechanical systems on the vehicle are carefully gone through. The engine is evaluated, cleaned, detailed and dialed in to run properly. A Preservation level restoration does not entail rebuilding the engine, transmission or rear end. All the components in the engine compartment are evaluated, inspected, and reported. The fuel system (including carburetors, gas tank, fuel filter and lines), will be analyzed and serviced as needed. The cooling system (consisting of radiator, hoses, and water pump) will also be reviewed and serviced as needed. All fluids on the vechile will be changed. The transmission is checked to ensure it is in good working order, and the clutch system will be checked and rebuilt or replaced if needed. The drive shaft and the vehicle's under carriage is inspected, including the shocks and suspension parts. Any worn bushings, seals, hardware, and components will be reported and replaced as needed. The hydraulic system (including: master cylinder, clutch cylinder, reservoir, brake lines, shoes, calipers, rotors, drums and discs) will all be inspected, reported, and serviced or replaced as needed. The rear end components are inspected and reported. After the Preservation level services have been completed, a road test will be given to the vehicle to make sure it is in good working order and safe to drive. We will then re-inspect the vehicle after the road test is completed to ensure everything is in proper working order before delivering the vehicle.